A leaked document has revealed that the asshattery of BMW drivers may be more than coincidence. Failing to use turn signals, cutting off other drivers, tailgating, flipping the bird and other affronts to road civility have become indelibly associated with the Bavarian Marque. Why? According to the document, it's all part of a totally illegal customer loyalty scheme. This template document, issued to all BMW dealers (click the image below to expand), comes to us from an anonymous informant known only as "The Whistleblower." 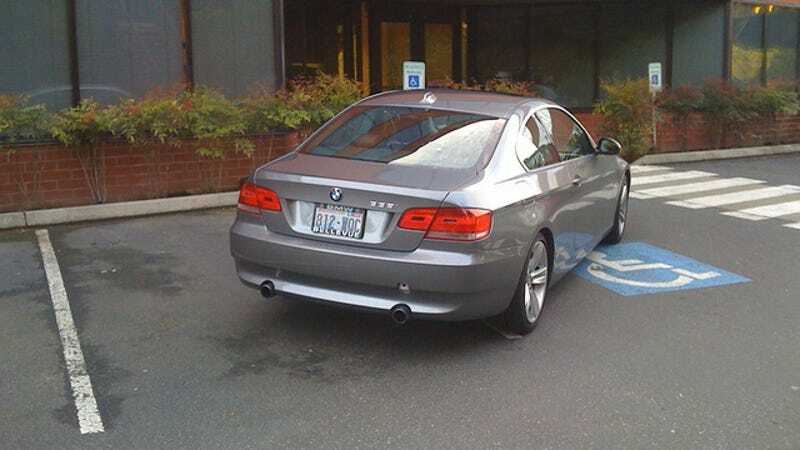 It clearly outlines a list of driving behaviors, recorded on the black boxes that have been standard on all new BMWs for several years now and translated into points. Accumulated points can then be traded for the kind of fabulous prizes middle management Bimmer drivers most covet, such as anger management classes and male botox injections. Publishing this document may prove somewhat controversial. While it's our mandate as journalists to seek truthiness, automakers like BMW have long considered customer loyalty programs such as HPDP to be sacrosanct, issuing edicts that access to press vehicle would be denied to any publication that dared bring them to light. VW famously issued a lifetime ban to British motoring publication Car when it revealed that CC customers were being offered free vasectomies in an effort to keep the four-seater's appeal fresh. BMW has long been reluctant to aid law enforcement officials in the recovery of black box data post-accident, instead insisting that the data being collected is "not accurate enough to reconstruct crash scenarios." Could it simply be that they were wiping evidence of HPDP before it could be used as evidence? That now seems completely likely.